Golf. Eat. Drink. Gamble a little. Golf some more. Indulge in the spa. Sleep. Wake up and do all over again! 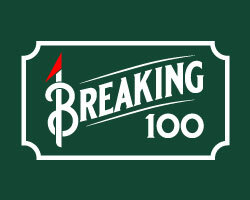 This plan was on our minds as my wife and I raced across the I 90 in an effort to meet my links partner and his wife at Turning Stone Resort for a much needed long weekend escape from the rat race. They had a several hour head start on us and were already enjoying the resorts hospitality while we were playing in the Friday night traffic. 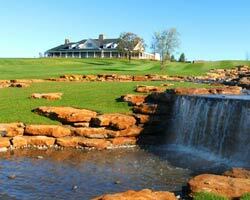 I’d heard great things about the golf, and the resort as a whole, and my expectations of Turning Stone were high. The resort, located in Verona NY, is a three hour jaunt from the Peace Bridge or two hours from the Thousand Islands border crossings. This unique golf destination has no equal in the North Eastern US when it comes to the shear variety and breadth of its entertainment offerings. Built by the Onieda Nation this casino and entertainment complex boasts three championship courses, two 9-holers, 100,000 square feet of conference and meeting space, 9 restaurants, 2 world-class spas, 2 fitness centres, a 5000 seat event center, an 800 seat showroom, the “Lava” dance club, a sportsplex, 80,000 square foot golf dome, 8 tennis courts, shopping and more. There are five accommodation options associated with the resort. The Hotel, Tower and Lodge are all attached to the complex while the Inn and Salmon Acres are off site. The Lodge is the shinning star and is a AAA four-diamond award winning facility. If you’re a sportsman at heart then the rustic cabin experience of Salmon Acres is 50 miles away. 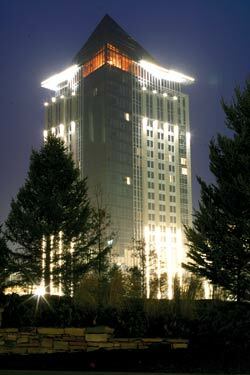 Our home, however, for the next three days was in the Hotel which is right in the heart of the action above the casino. On day one we stole a few extra hours of sleep before grabbing a late breakfast at Season’s Harvest and into the car we piled for the short 2 mile drive to Atunyote (uh-DOON-yote means “eagle” in the Oneida language). Those familiar with the PGA Tour will already be acquainted with Atunyote, and guests have access to this remarkable tour-caliber facility. Host to the PGA Tour from 2007-10, this Tom Fazio design is blessed with his trademark playability, a creative routing and impeccable conditioning. Arrival at the fabulously ornate entrance gate foreshadows the enchanted links that await you. A splendid balance of windswept grass lands, forest, and water holes challenges you from tee to green. Ranging from 5100 to 7500 yards this course gives you the tour player feeling from the time you set foot on the remarkable practice facility to the final putt on the 18th. One of the more walkable championship courses you will ever play, Atunyote’s tranquility, solitude and pristine holes was truly a treat to play. After relishing every inch of Atunyote we spirited ourselves away to the Lodge to experience the pleasures of an afternoon couples massage at the Skaná spa. My masseuse applied some time honoured Oneida healing traditions and I rose from the table refreshed with all the tension caused by bogies and missed short putts a thing of the past. Rejuvenated after our Skaná respite the next challenge was to sample the Churrasco dining experience of the Rodizio Restaurant. Although there are nine dining option on site we decided to throw caution to the wind and give this Brazilian culinary tradition a whirl. Each table is supplied with a ‘turning stone’ that is red on one side and green on the other. First came the gourmet salad accompanied by Brazilian feijoada and rice. Turn the stone to green and the second course begins -an endless stream of chicken wrapped in smoked bacon, sirloin, seafood and Linguica sausage skillfully carved off a skewer hot off the grill by the Guachos right at the table. Turn the stone to red and the Gauchos will give you a break. After taking our fill at the Rodizio a debate ensued about which of the many entertainment option we should pursue next, and there is no shortage of choice at the resort. Live performances, cultural events and trade shows are standard fair at Turning Stone. Top line acts the likes of Billy Joel, The Pointer Sisters, Robert Cray Band, Wynonna, Melissa Etheridge are standard fair at the resort. Our ladies wanted to set the floor ablaze at the “Lava” dance club so off we went. The morning of day two sneaked up on us in a hurry and we had a big day of golf ahead of us with Shenendoah in the morning with Kaluhyaht to follow. Thankfully both courses are on site so it was a short shuttle to the course. After a quick bite from Opals Confectionary, which also served up a much needed bucket of Starbucks coffee, we were ready to face the first tee. 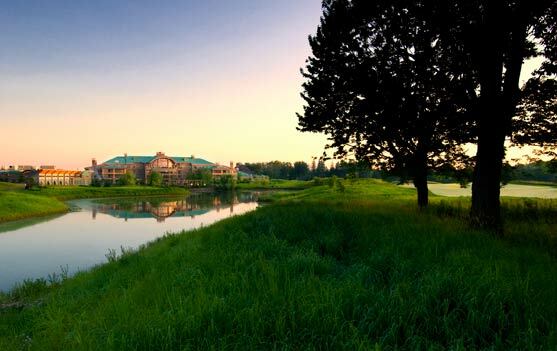 Shenendoah, the namesake of a heroic Oneida tribal chief, is a Rick Smith design and was the first to open at Turning Stone. Routed through hardwood forests and over fescue framed mounds, this layout is challenging, visual and enjoyable to play. A wonderful blend of parkland, linksland and waterholes, Shenendoah presents a routing that allows high handicappers and scratch players alike a fun challenge and good test of skill. The opening hole typifies the layout with a mighty drive needing to be well placed to give you a reasonable chance to get to the green site guarded in front by bunkers and wetlands. 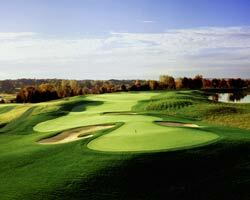 The signature home hole is a beautiful double dogleg par 5 playing uphill to a well protected green. 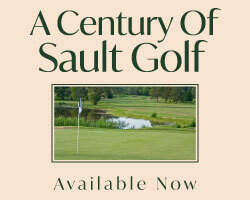 Playing to yardages between 5185 and 7129, this is a friendly course for golfers of all levels, providing few forced carries and allowing for players to shoot for the flags or roll up approaches. After a brief stop, and a sampling of Shenendoah’s world famous breakfast sandwich, it was right back at it for the boys but the girls decided getting lost in the spa for the afternoon was a much better plan. Kaluhyaht (ga-LU-yut meaning “the other side of the sky”) is noted as one of the toughest tests in New York. This Robert Trent Jones Jr. beast opened to compliment Shenendoah in 1998. At 7105 from the tips this demanding layout is a blend of links, water and parkland, boasting numerous forced carries, elevated or blind landing areas and undulating greens. Playing to a rating of 75.5 (slope 150) every shot in the arsenal is needed and indeed tested. Enjoyed from the correct tees for your ability, Kaluhyat is a devilish test of skill and concentration. The stretch from the double dogleg sixth to the ninth’s split fairway is as much a test of skill as your meddle. Finesse is demanded at holes 14 and 15 with menacing water hazards waiting to gobble any errant shots. Kaluhyat is a superb compliment to Shenendoah for a “Beauty and the Beast” experience. After our round it took us a while to locate the girls as they were still MIA luxuriating in Skaná. Once successfully extracted a stroll through the resorts indoor village ensued and the serious discussion of diner began. It was a short debate for we were drawn to the Pina Bianco Trattoria by the aromas emanating from its 50 foot open kitchen. A relaxing evening enjoying fine Italian cuisine and good conversation was just what the doctor ordered. The girls insisting that an afternoon in the spa was a much better use of time than slugging it around the course but we were having none of it. From our perspective a morning on a Rick Smith and an afternoon on a Robert Trent Jones Jr. is as good as it gets. Although our main reason for visiting the resort was for the golf, and there is so much more to see and do, the fact remains that the heart beat of the resort is the casino. Before bidding our adieu’s to the resort we popped in for a short visit to the tables to sacrifice a few chips to the house. It’s the least we could do to give thanks for the exceptional hospitality we were shown during our stay!